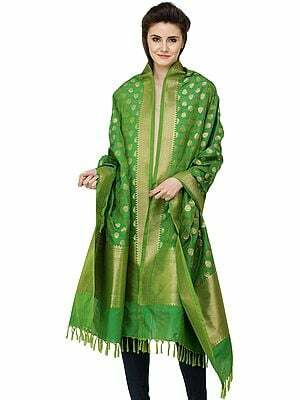 Traditional Indian fashion is more of an art form than an aspect of everyday functionality given a spin of entertainment. 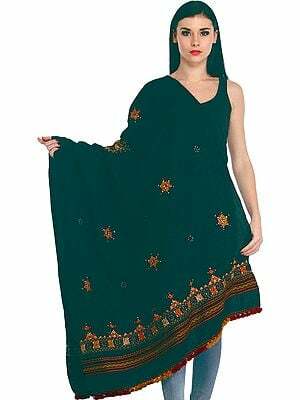 There is great diversity and depth of meaning in each garment. 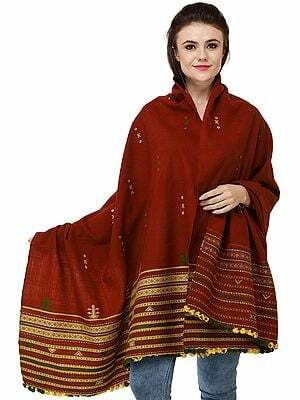 A plethora of embroideries, weaves, and stitches, each of which has been practised by generation after generation of a single family from some obscure rural pocket; strict codes of colours to be adhered to by women at different stages of womanhood such as bridal, motherhood, and widowhood; and the kind of exquisite embellishments fashioned in the recesses of the subcontinent and coveted the world over. 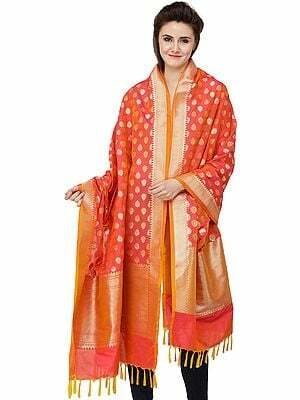 Gorgeous colours, unique drapes, and superb layering characterise traditional Indian-wear such as sarees, shawls, suits, and lehengas. 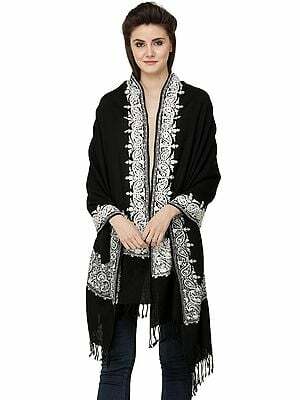 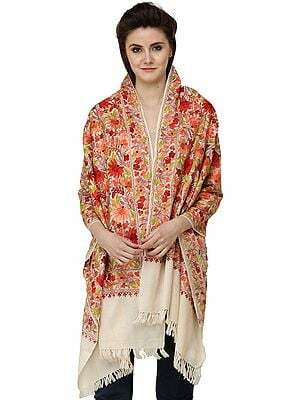 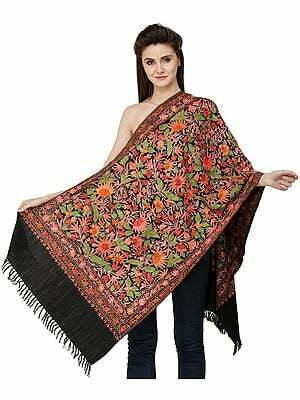 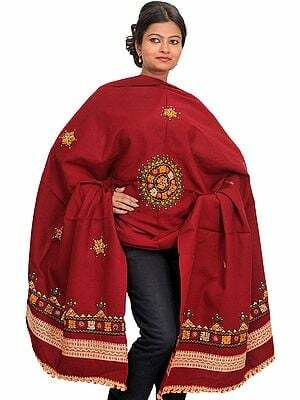 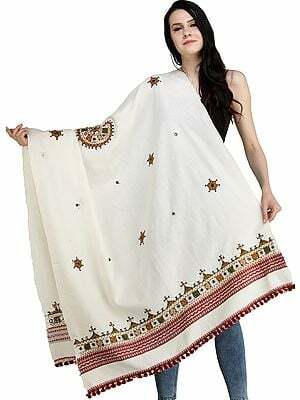 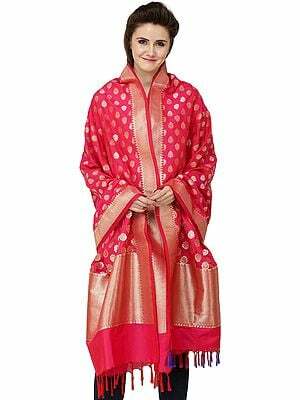 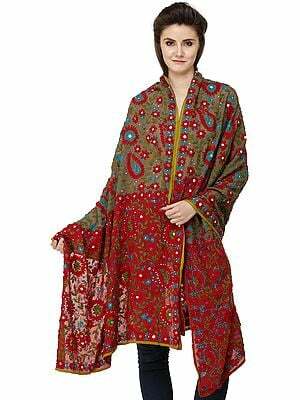 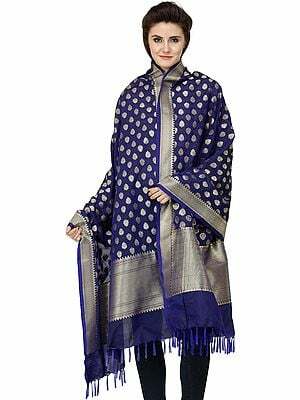 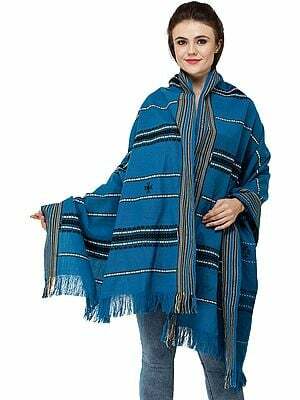 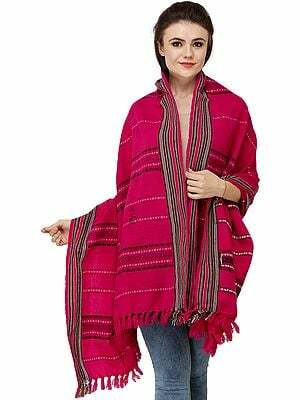 This section comprises of the elegant Indian outerwear, the shawls, stoles, and dupattas. 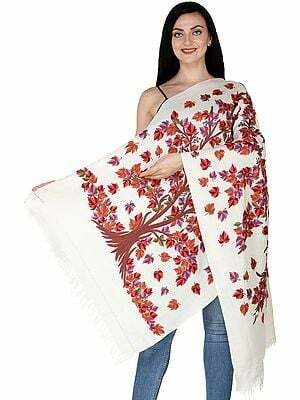 These constitute a variety of Indian scarves, each of which is designed to complement a different ensemble. 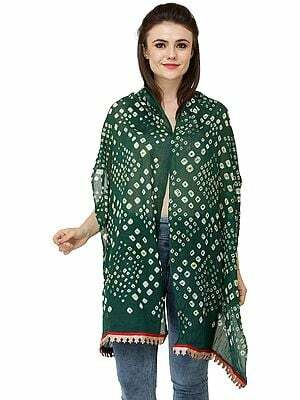 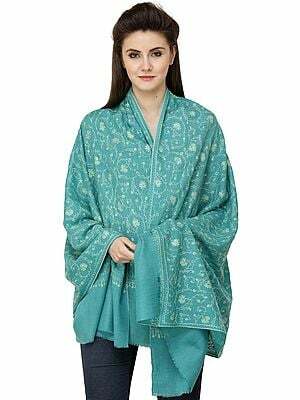 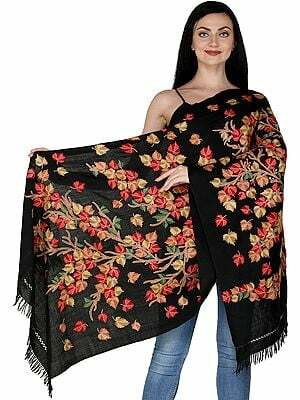 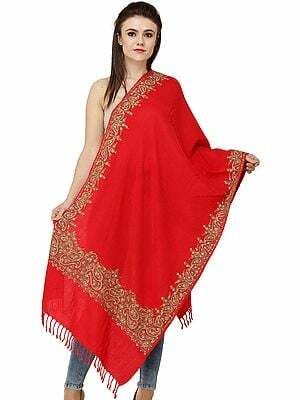 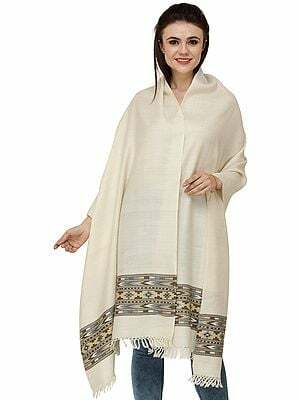 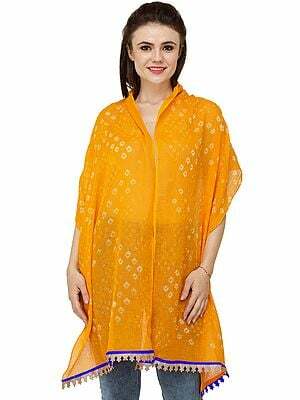 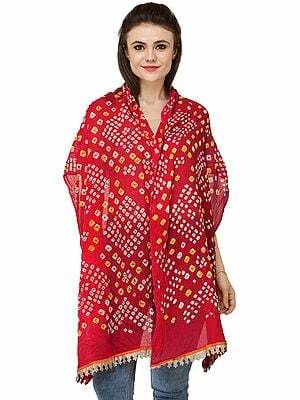 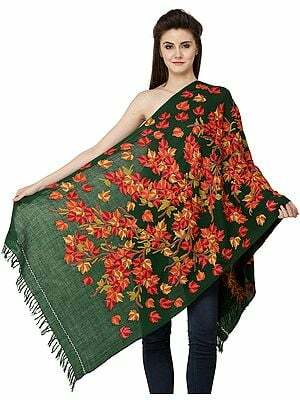 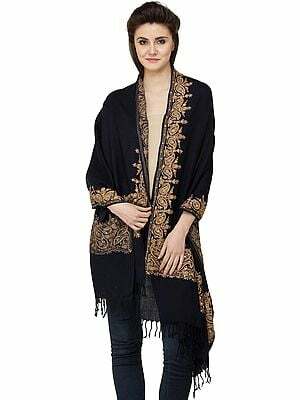 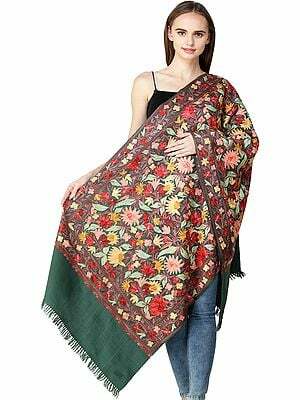 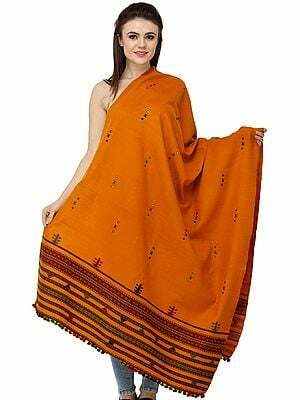 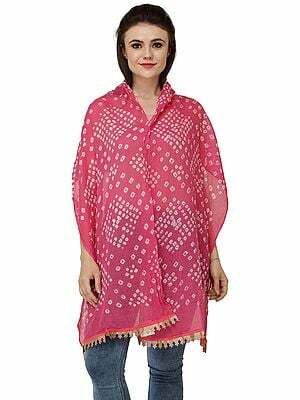 While dupattas go best with a kameez and a salwar to put together an Indian suit, shawls and stoles are meant to be layered over sarees and suits to amp up the glamour. 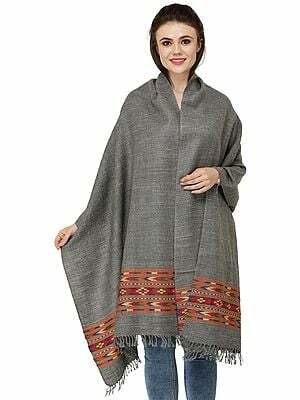 Each addition in this collection is a unique number in terms of the work exhibited. 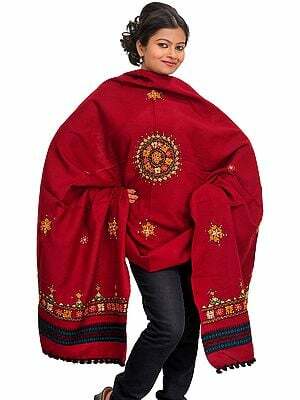 A variety of styles of embroidery such as phulkari and sozni and zari, the kinds that are endemic to the subcontinent. 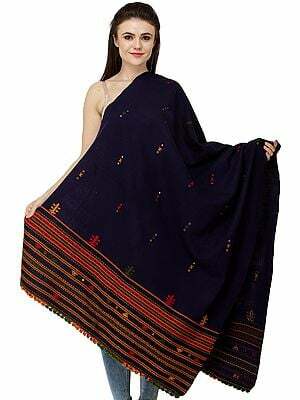 A variety of quintessential ethnic Indian weaves have been featured here. 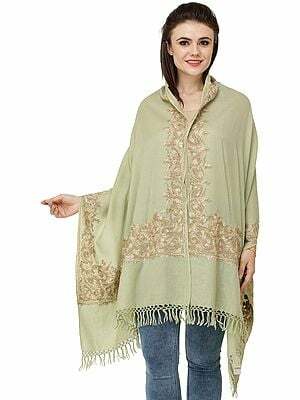 The colour palette is rich, diverse, and feminine - pastels of all shades and tints, luscious metallics, and a generous dose of neutrals, often blended strategically in the same shawl or dupatta to make a statement. 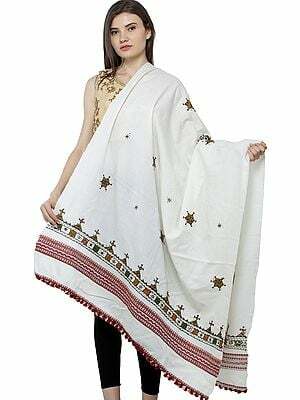 The base fabrics are of indisputable quality. A wide variety of homegrown silks thoroughly vetted for purity, the softest cottons, and endemic wools that constitute the crown jewel of India's textile tradition. 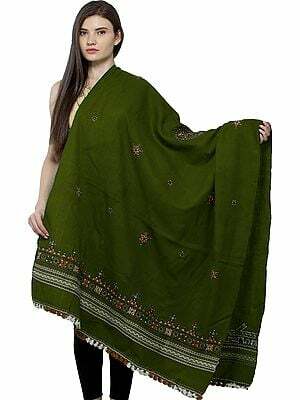 Some of the dupattas in this section are versatile enough to be teamed with a variety of suits and lehengas, while some deserve to be the centre of attention and are best worn with solid-coloured salwar-kameez in neutrals. 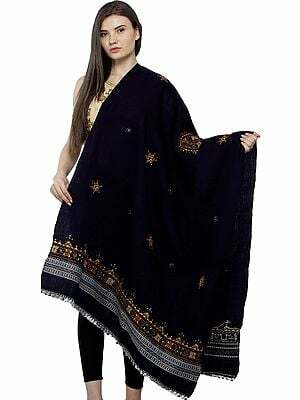 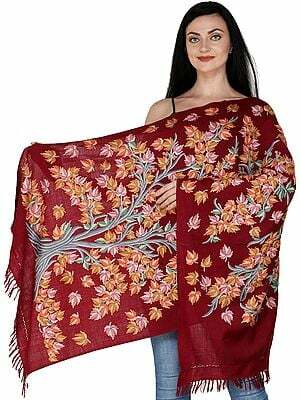 The shawls are regal and would serve to complement your choicest evening sarees and suits. 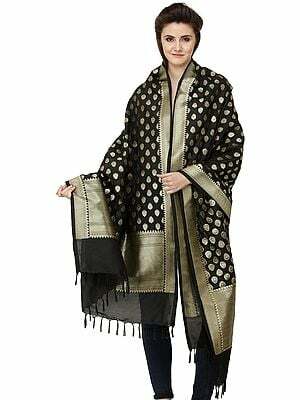 This section also houses a collection of scarves and shawls for men that feature classic weaves and patterns (think stripes and chequers).